These guys do amazing work. We’d go so far as to call them heroes. 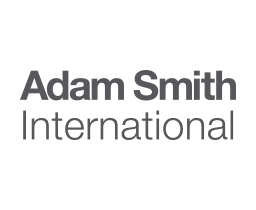 Adam Smith International is a global award-winning development company that runs projects supporting economic growth and government reform. This is important stuff. It has significant impact on improving the lives of populations facing incredibly tough conditions. 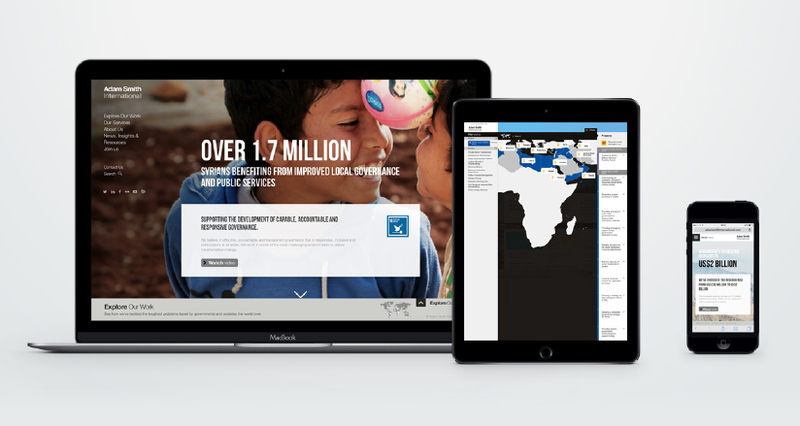 What they lacked was a site which demonstrated the impact of the great work they do across the globe. Our mission was to design and implement a full digital rebrand following an identity refresh. A user-research process informed a full site re-architecture. We produced site prototypes, digital brand concepts and evolved these to full site interface designs. These were then built on Expression Engine CMS. Adam Smith International wins projects from governments and development agencies. Proof of effectiveness and accountability is of utmost importance. 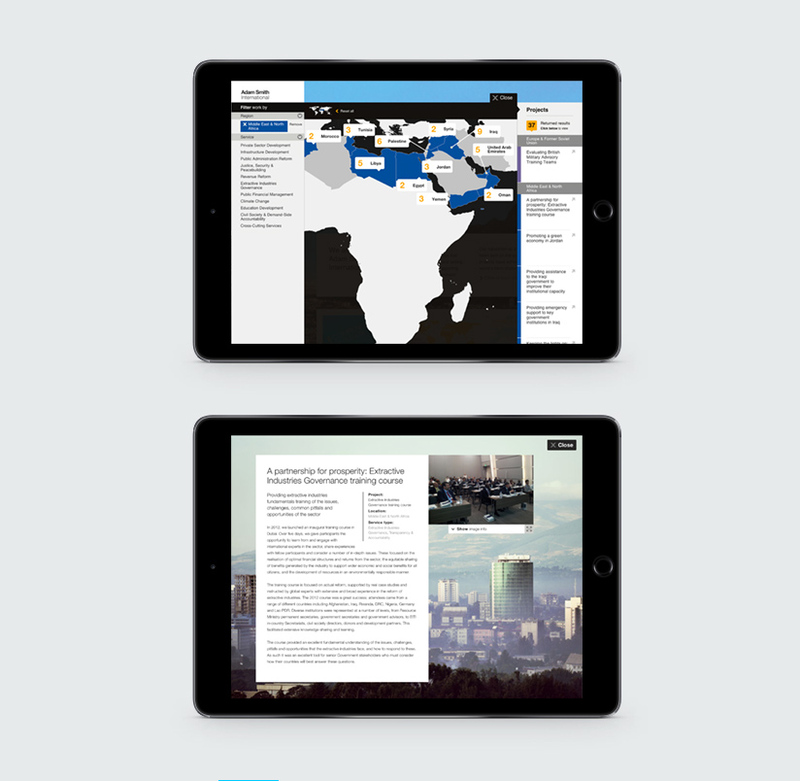 To do this, alongside showing the human stories of those their work helps, the website communicates the professionalism, experience and expertise of Adam Smith International. Interactive maps provide a great visual way to explore the depth and breadth of Adam Smith International’s global work, allowing visitors to filter over 200 projects through a combination of regions and services.